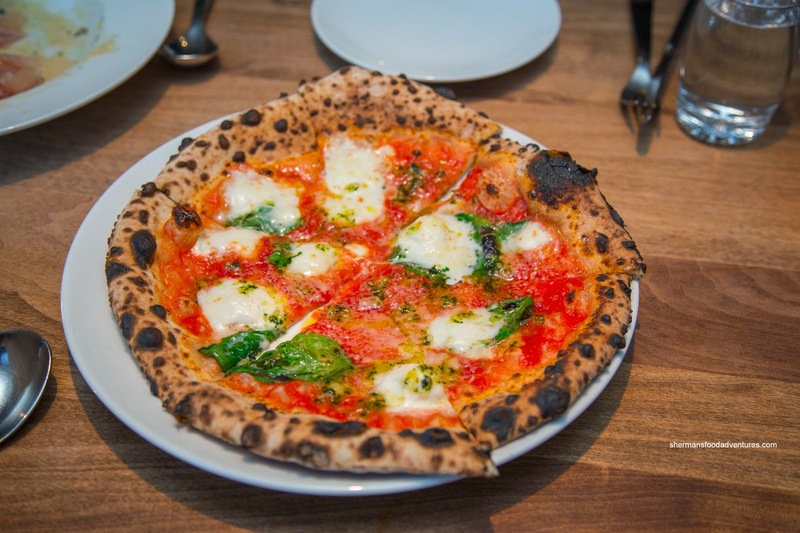 Quick, what is the first thing that comes to mind when I say "Neapolitan-style pizza in Vancouver"? The usual suspects would be Nicli Antica, Farina, Via Tevere, Pizzeria Barbarella, Famoso and even the newly opened Carano. 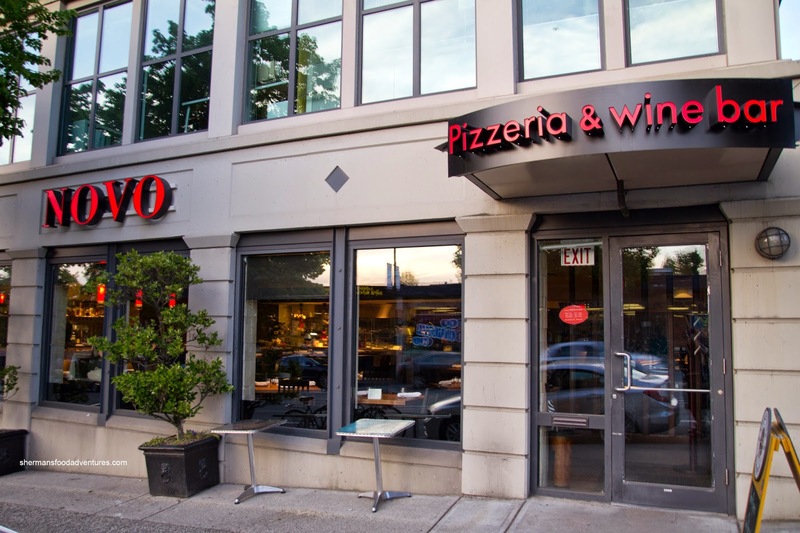 However, what about Novo Pizzeria and Wine Bar? Yah, even Whipping Girl wasn't aware of the place even though it has been around for awhile. Hence, with an invite to revisit the place, I got Whipping Girl to join me in trying some ol' favourites as well as some new ones. With free reign with the menu, it seemed tempting to order it all, but Whipping Girl and I couldn't challenge the appetite of Mijune, so we kept it reasonable. 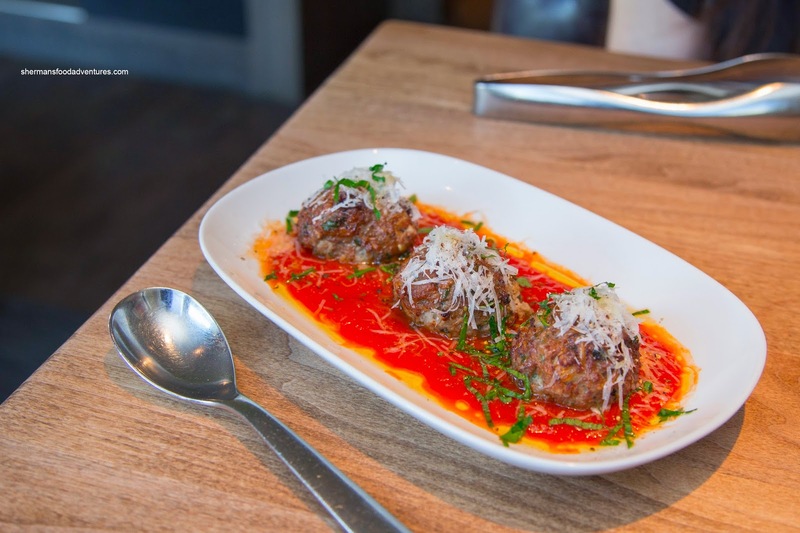 We started with a favourite of mine being the Sicilian Meatballs accented with currants, pine nuts, reggiano and marinara. These were nicely browned on the outside while soft, moist and slightly loose on the inside. The flavours were well-thought out where the sweetness of the currants, the tartness of the tomato sauce and the saltiness of the cheese provided balance. 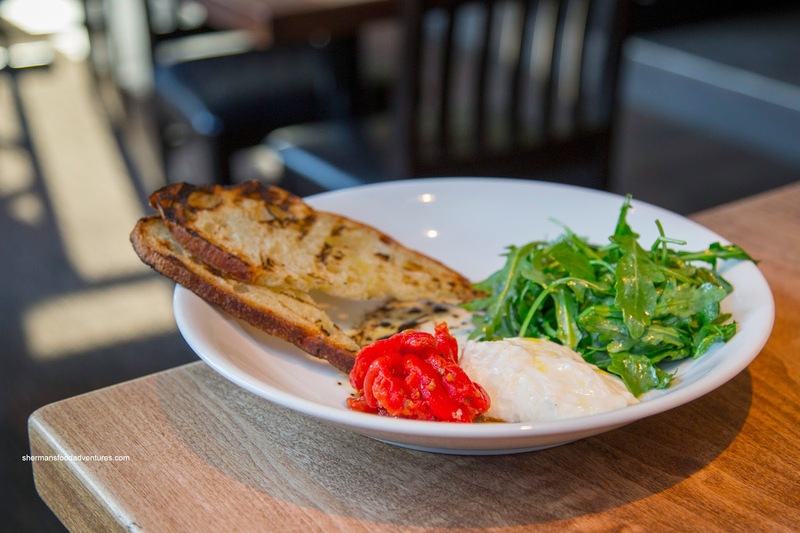 Next up, we got the Burrata with arugula, oven-dried tomatoes and grilled house-made bread. Since the burrata is imported from Italy, timing is everything since it should be consumed within 48 hours. For us, the cheese was still creamy and buttery, so whatever the case, it was fine. 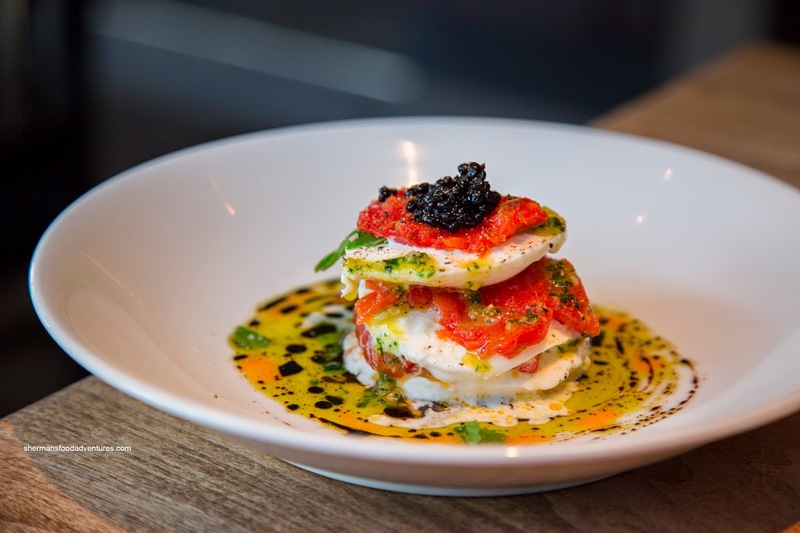 We also had the Winter Caprese with fior di latte, oven roasted tomatoes, balsamic pearls and pesto. Beautifully plated, there a nice balance of sweet and acidic notes from the tomatoes and balsamic pearls. The addition of EVOO and the pesto afforded extra aromatics. Since the cheese was essentially a blank canvas, these flavours were needed to bring it alive. Apparently, the pizza dough had changed since my last visit. However, the ample leoparding had not - as clearly illustrated in the picture of the DOP Margherita (DOP = Denominazione di Origine Protetta or Protected Designation of Origin). That meant there was a smoky-nuttiness to the properly seasoned crust. Texturally, it was crispy on the outside and underneath all the way nearly to the centre where it was a touch soggy. Generally, a Neapolitan pizza should have a soft centre, but this could've been a little less so. As for the San Marzano tomato sauce, it was good with a nice balance of acidity and sweetness. 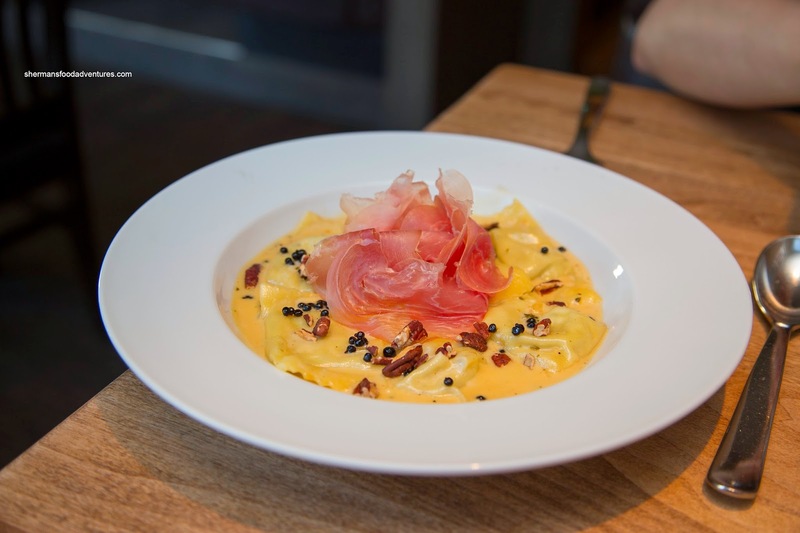 Onto some pastas, we had the Ravioli consisting of roasted pecans, gorgonzola pear balsamic cream sauce and prosciutto. Personally, I'm more into savoury items, so I found the dish on the sweeter side. However, the prosciutto did its thing to help balance the out the sweet pear as well as the balsamic. We thought the roasted pecans were a nice touch as it added both texture and another layer of flavour. 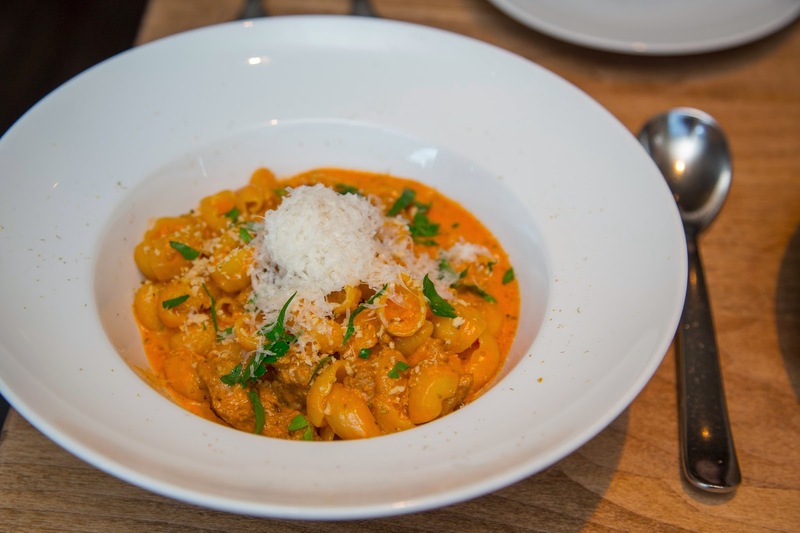 On the recommendation of our server, we decided to try the Orecchiette with Italian sausage and fennel pollen in a rose sauce rather than plain olive oil like my last visit. Well, she was completely right as the flavours popped. The double dose of fennel added a licorice-Earthiness which blended well with the creaminess. As for the pasta, it was a firm and toothsome. 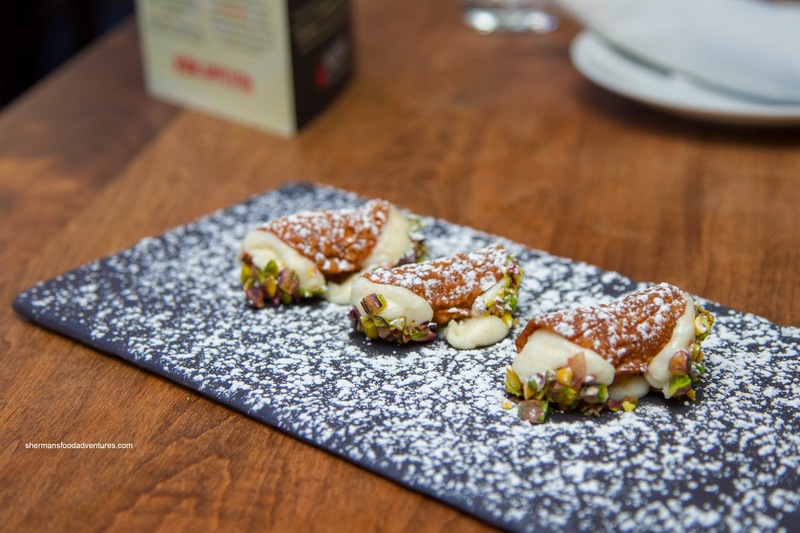 For dessert, we tried the Sicilian Cannoli first. Made with buffalo ricotta, candied oranges & lemons, pistachios and orange blossom water, the flavours were pleasant with a mild sweetness accented by a muted acidity. The pastry itself was thin and crisp. However, the filling was not smooth enough in our opinion where it was rather gritty. On the other hand, the Toasted Hazelnut Creme Brulee (Frangelico ganache, rosemary and pine nut cookies with orange granita) was the bomb. 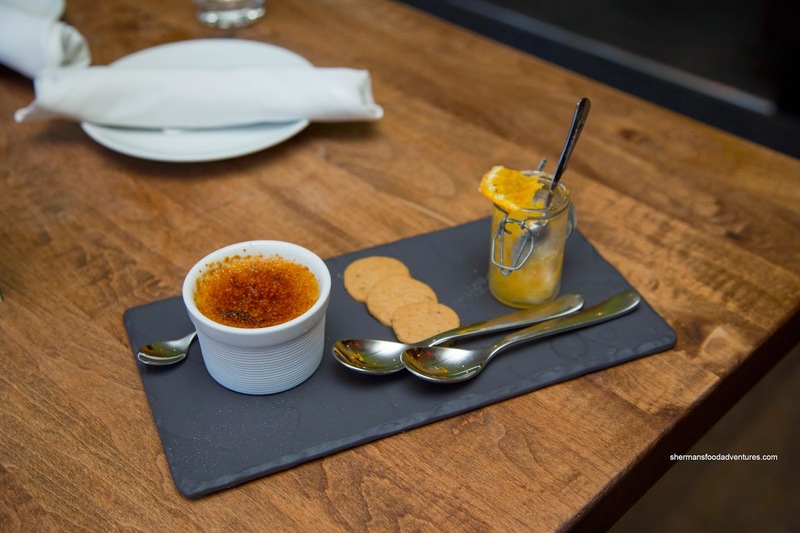 We could see why it won the recent creme brulee challenge. Aromatic and smooth while purposefully sweet, the custard lay beneath a nicely torched hard top. The granita added a refreshing slant to the dessert. This was a fine end to a good meal at Novo. The 3 common dishes of both visits didn't disappoint.